Following up on the success of Living on the Skinny Branches, #1 Best Selling Author Michael Strasner’s new book, Mastering Leadership: Shift the Drift and Change the World is a comprehensive, fresh, and exciting new interpretation of leading and the role of leadership. Think about this: What if the title of “leader” was actually inconsequential in the true role and responsibility of leadership? Most people see “the leader” as the ultimate authority in business, government, and life. We’re trained to think that if we work hard and achieve our goals, eventually someone else will bestow the mantle of leadership on us as an acknowledgment of our accomplishments. What if, instead, you start leading today? 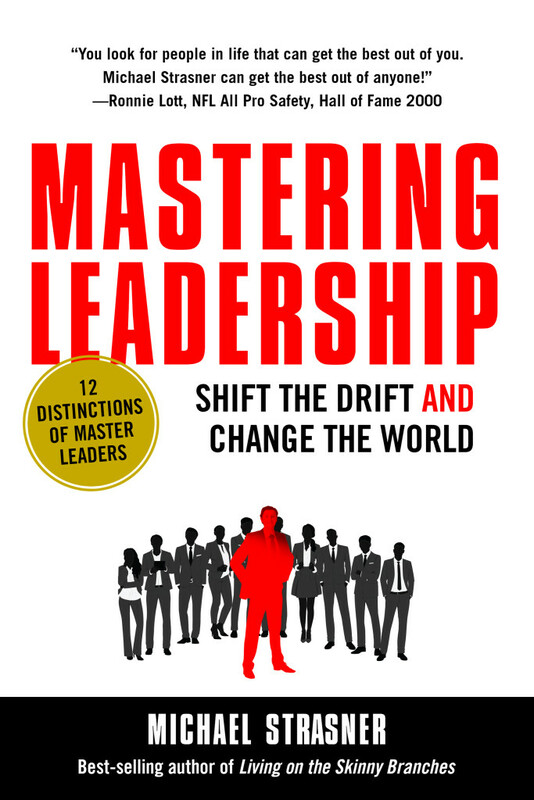 Mastering Leadership: Shift the Drift and Change the World will take you on an eye-opening journey of discovering what leadership can mean for the seven billion people on the planet who are waiting for someone else to change the world. Michael presents a set of life-changing leadership distinctions; learning to apply them will transform what you think you now know about leadership. Our world won’t change because we hope for world peace, a healthy planet, and safe schools for our kids. Transformation begins when one committed person stands up to make a difference and inspires others to do the same. Master leaders change the world. They wake with vision and lead with vision, operate as the cause of everything that happens, and stand as the source of transformation for themselves and the world. Mastering Leadership: Shift the Drift and Change the World is so much more than knowledge and information; it’s a full-throated, passionate and high-octane approach to making an extraordinary difference in the world. To stay connected with the book release and receive free giveaways!